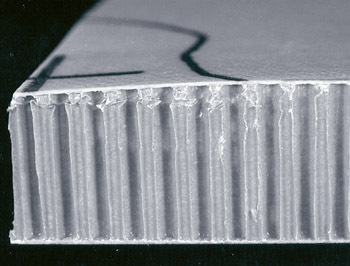 LUSAS Composite is used by engineers in the automotive, aerospace, marine, defence, manufacturing and general mechanical industries for all types of composites engineering analysis from simple failure prediction using a number of failure criteria including Tsai-Hill, Hoffman and Tsai-Wu through to advanced delamination failure modelling. Most recent case studies are at the top. Most recent case studies are at the top. 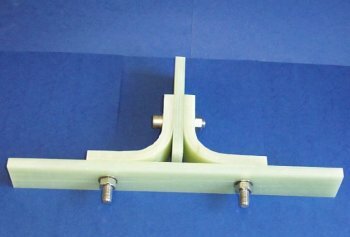 Parametric studies of bolted joints for yield and fatigue assessments. "It was very useful to use LUSAS for this research work. I found it very intuitive." 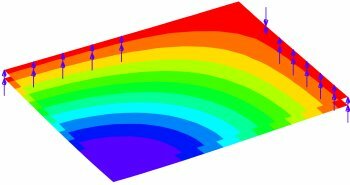 Development of a damage material model to simulate core failure in sandwich panels under a range of impact loading. 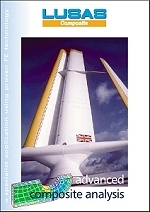 Optimisation of rig design using linear buckling analysis, composite analysis and material testing. 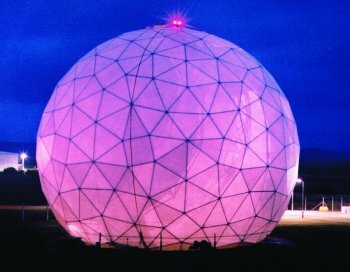 "With the associative modelling capabilities of the LUSAS Composite modeller, design changes were easily incorporated into the finite element models. This resulted in rig components that were designed to the client's specification, had a high reliability, and were optimised for the imposed loadings". 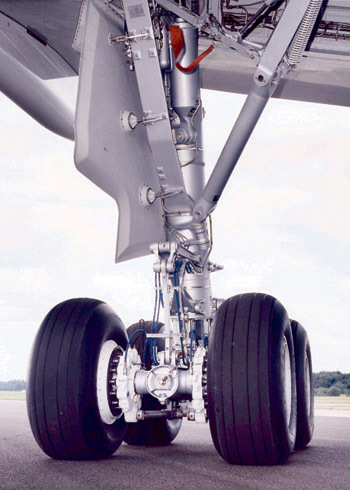 Development of composite landing gear components with the aim of reducing the cost and weight of future landing gear assemblies. 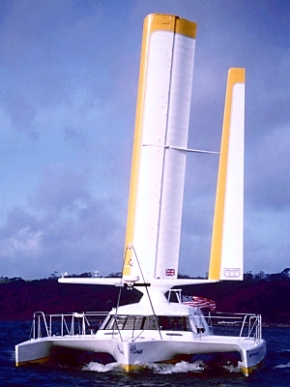 Examination of stress distribution in the trailing section of a proposed new wingsail. 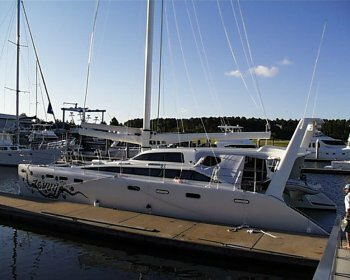 "By using LUSAS Composite for this analysis Walker Wingsail Systems were able to go into the prototype build stage with enhanced confidence in a very satisfactory lighter design." Analysis of honeycomb sandwich floor panels designed to support Land Rover wheel loads in military aircraft.